Atheism is the rejection of belief in the existence of deities. There are different ways in which these views can be expressed and in recent times, more people have been coming out to identify as atheists and promote the concept to the larger public. 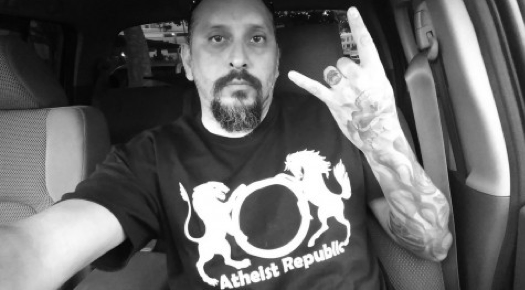 One of the ways in which people can spread awareness about atheism is by using bumper stickers that have atheist quotes on them – these quotes can be funny or inspirational, depending on the person who is using them to deck up the back of his or her car. Bumper stickers are normally stuck to the back of your vehicle and these stickers either promote an idea that means something to you or depict something hilarious that others can laugh over. Since most of the population knows little about atheism, bumper stickers related to atheism can help educate the masses and spread awareness about the subject. If your chosen sticker is too hard to decipher, you can use this opportunity to explain the subject in detail to someone who seems intrigued or expresses a certain amount of interest. Bumper stickers are a great way to express your thoughts and ideas – they not only accessorize your vehicle but also allow you to flaunt your faith while you drive past hundreds of people on the streets every day. Atheist quotes on bumper stickers can help you counteract the various myths and misconceptions that exist in society about atheism. Our gallery has a wide range of quotes that you can choose from and feel free to customize your own design by opting for different colours and fonts. Atheist bumper stickers have managed to find a market across the world and perhaps it is time for us to maximize its potential. While most people are apprehensive about these products because they know very little about atheism, perhaps you can take the lead and encourage more non-believers to follow cue.